- This mod does things like garages, for free. - This mod does not release trucks. 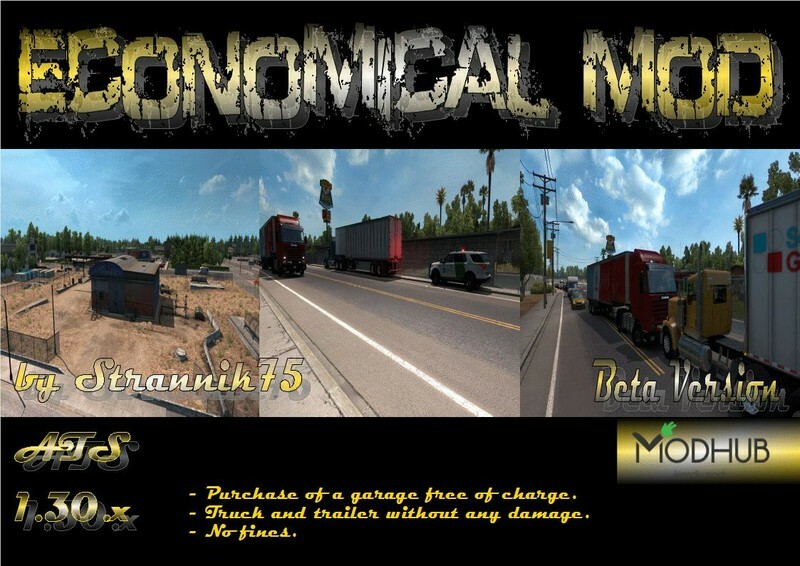 - With this mod, the accident of your truck and cargo does nothing, and your truck will never be damaged. - This mod changes fines from their usual amount to $ 0. In fact, it eliminates fines from the game for such violations as acceleration, drive through the red light, crash with other cars and more.